Small businesses often neglect the real importance of hiring a good web designer. Instead of hiring a professional they opt to throw together a website on their own. Unless you happen to be trained in web design, this is likely a very bad choice. You are not nearly qualified to produce a quality website. 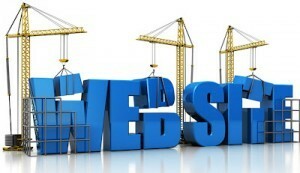 In fact, your website may be the most important aspect of your online presence. It is very much like your base of commands for everything you do in the virtual world, and if it doesn’t hold up to peoples standards your entire business could suffer. We’ve come up with three good reasons why you need a web designer. These reasons are not, by any means, the only reasons there are but we think they are the most important ones. If your website looks amateur than people are going to assume your company is unprofessional. While most people don’t like to hear that, it happens to be the cold hard truth. Yet a bad design isn’t all merely about how the website looks. It is also about how it functions and how easy it is to use. If your website lacks the basic fundamentals of functionality is definitely costing you customers. Functional basics include page load time and links going where they are supposed to, amongst other things. If the very basic items on your page don’t work right, people will only become frustrated. Ease of use is self explanatory. Is your site easy to navigate? Can people access everything they need to without pulling out all of their hair? Without the help of a trained professional you may be lacking in one, two, or all three of those categories. Only well designed websites have the ability to convert views into sales, plain and simple. If people leave your site out of frustration or boredom you are never going to sell anything. Think about how you feel when directed to a website which (a) looks like a preschooler put it together, or (b) doesn’t allow you to do anything you want to because nothing works. You’re not going to buy anything from that company, right? So why would you expect people who come to your site to be any different? Well designed web pages, on the other hand, have a very powerful ability to convert. A good web design can quietly direct your viewers where it wants them to go without seeming to sell them on anything. It can keep people engaged and entertained. A great web design is definitely something that you don’t want to be caught without. The design of your web page is much more important than the majority of people are led to believe. It can make or break your entire business. Small businesses struggle against the power of larger companies to begin with, so anything which can help boost their sales and audience should be done correctly. Hire yourself a creative web designer and allow your company to start reaping the benefits.